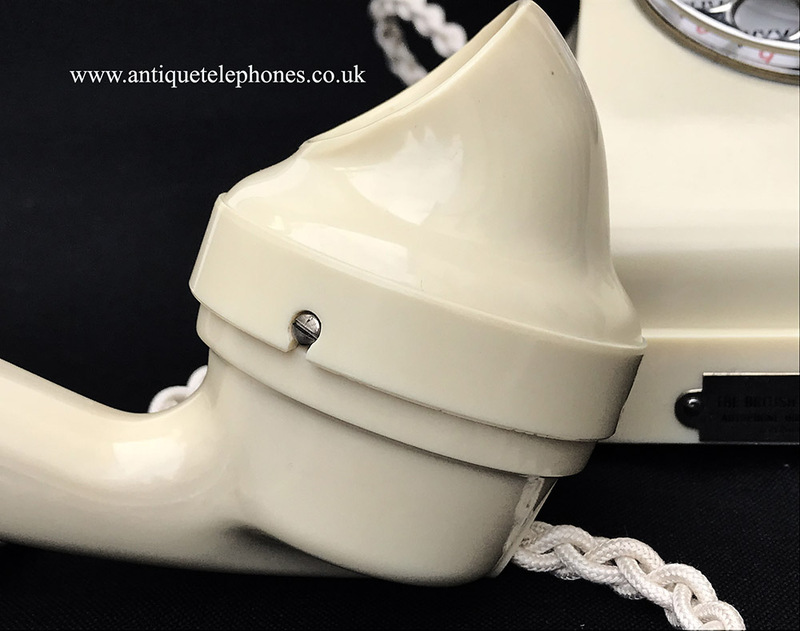 Beautiful little telephone made from ivory Urea. 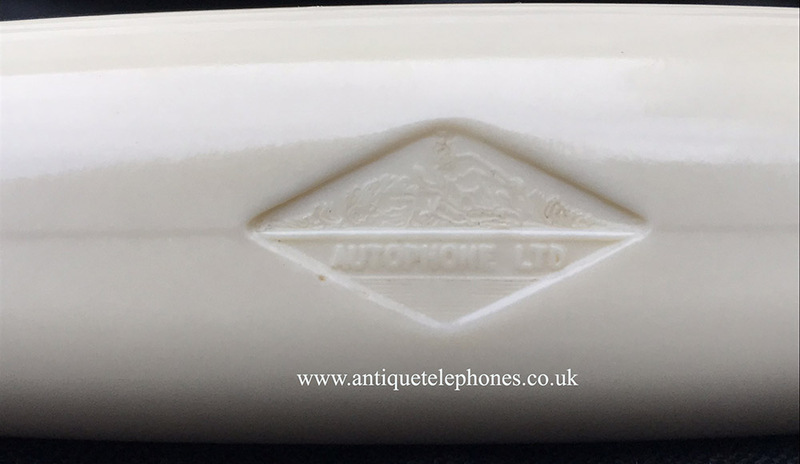 Very nice old Ivory telephone. Fitted with a pulse to tone unit and so will work on any Telephone network including Voip. 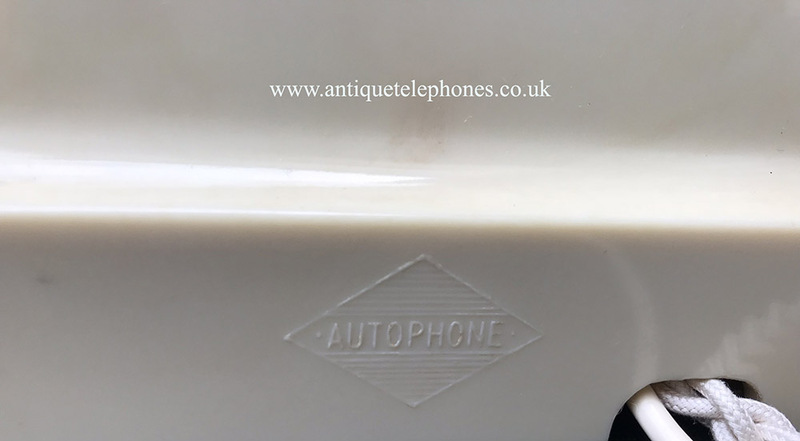 Similar but not a 300 series telephone. 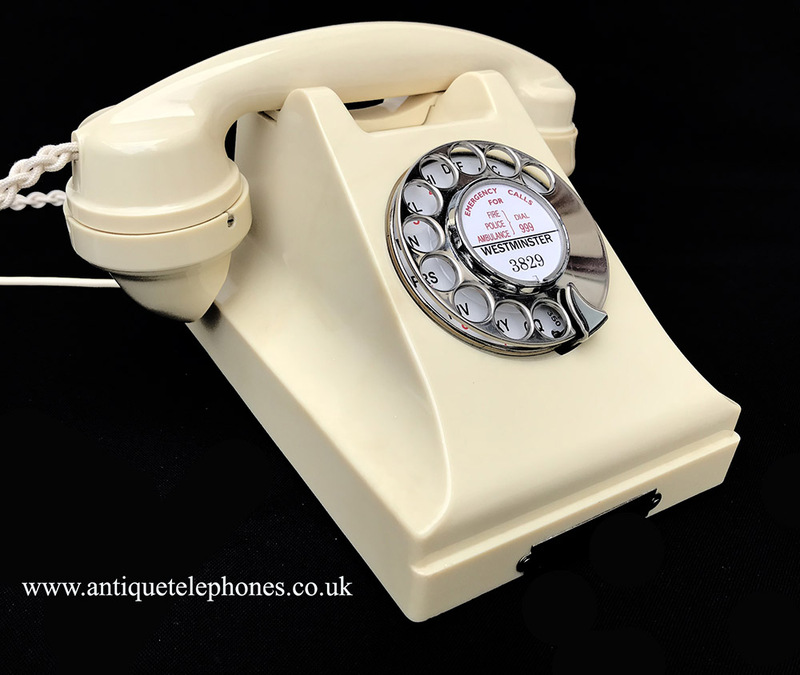 Lovely sounding double gong ring tone. 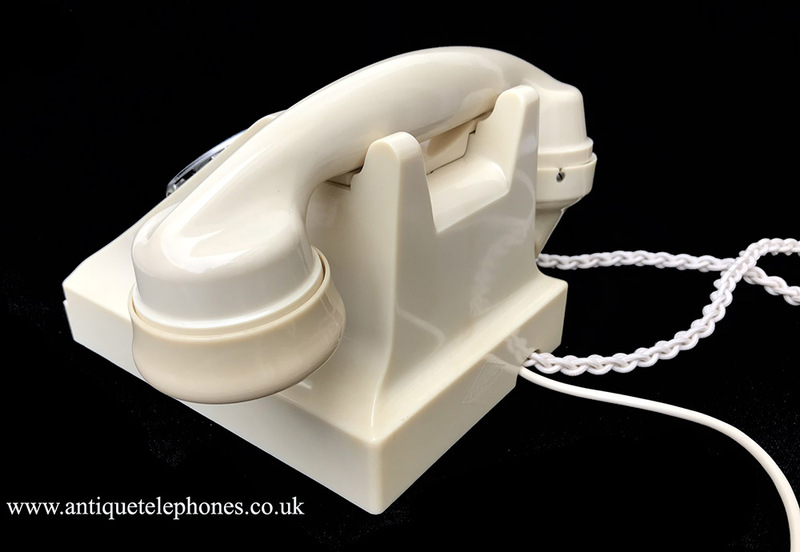 Although this telephone was fabulous externally it had some internal parts missing. 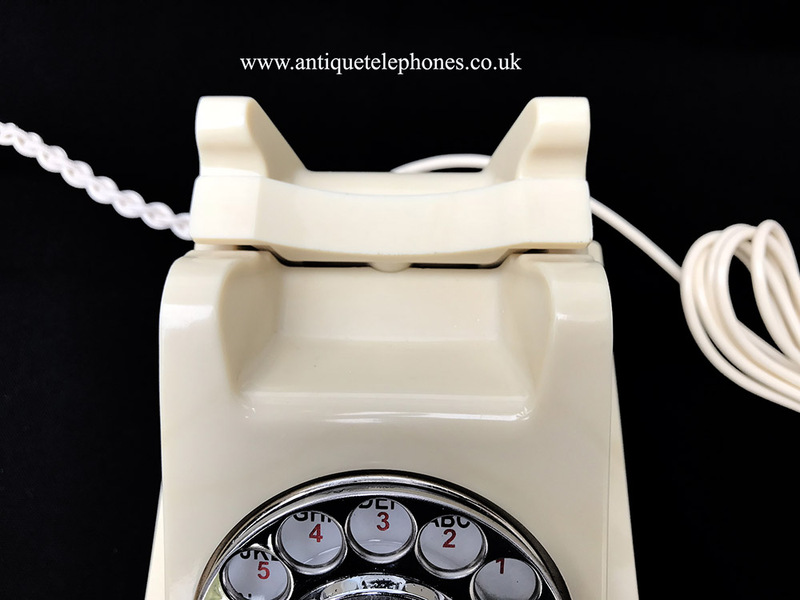 I fell in love with this beautiful little telephone and so decided to spend more time than its worth to get it fully working. 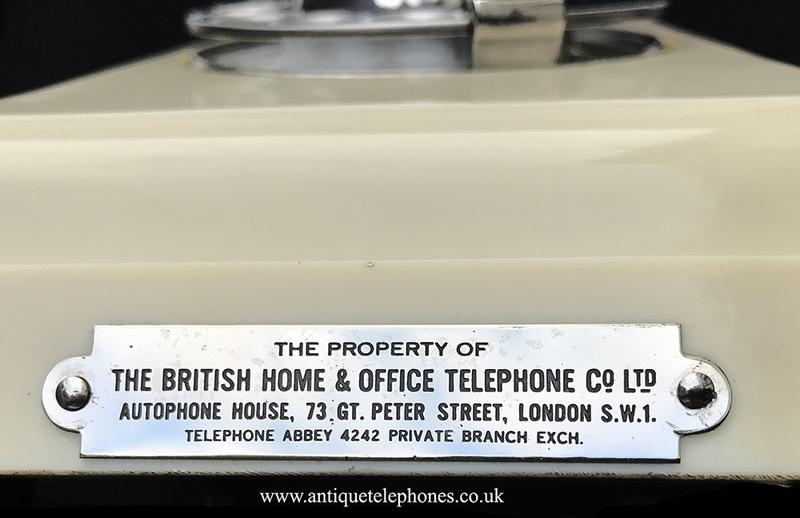 it has a wonderful plaque to the front "The Property Of THE BRITISH HOME & OFFICE TELEPHONE Co Ltd Autophone House 73 GT Peter Street, London S.W.1 telephone abbey 4242 private branch exch." 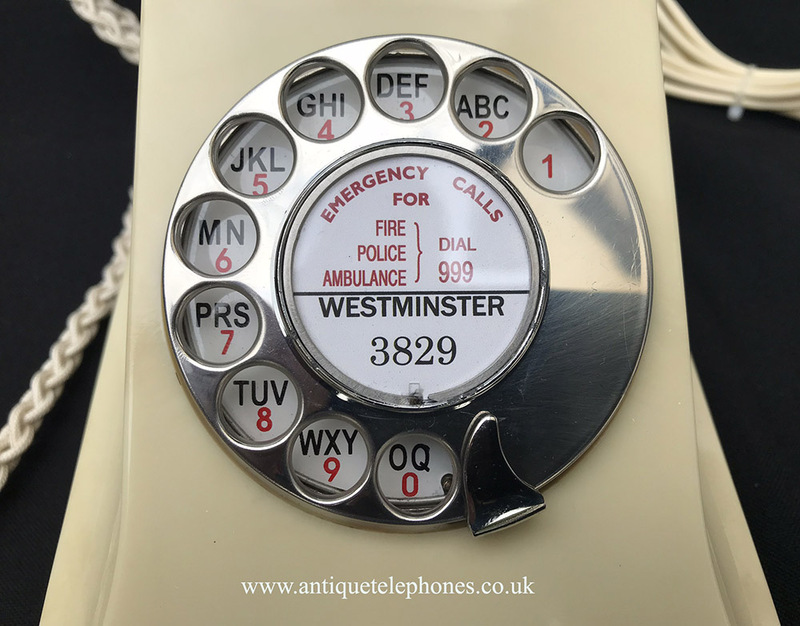 I have replaced the internals and the dial for a genuine GPO No 10 with an alpha numeric dial face and stainless steel finger dialler. 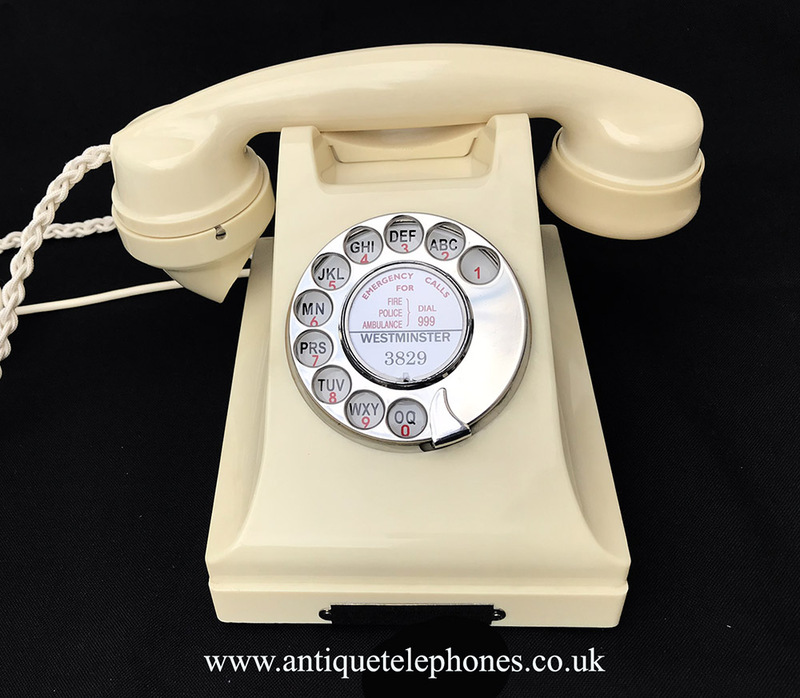 It has been fitted with a very best quality hand plaited ivory braided handset cord, a GPO specification round plastic line in cord, a 1950s receiver capsule and an electronic microphone. 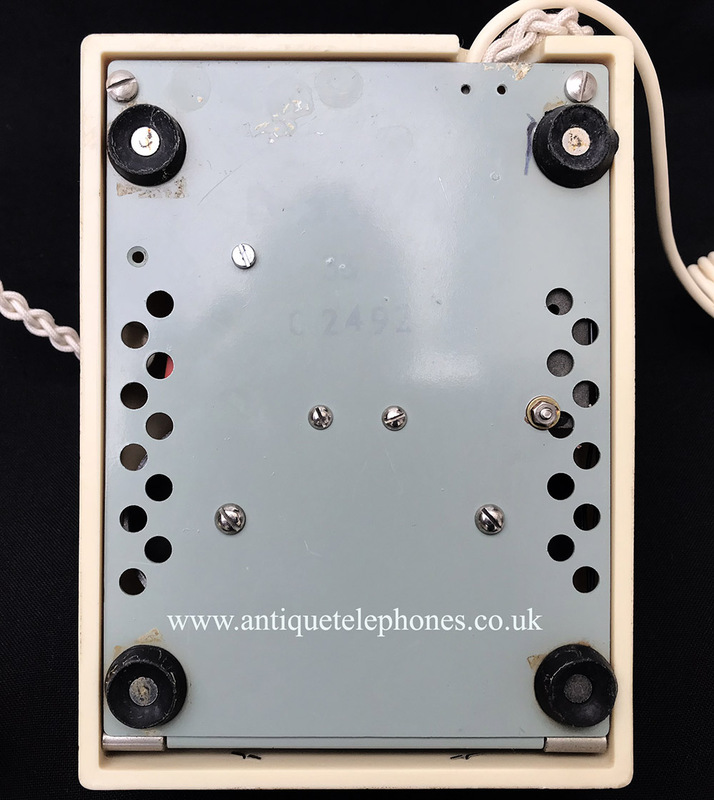 The internals have been replaced with a pulse to tone unit and so will now work on any telephone system including Voip. 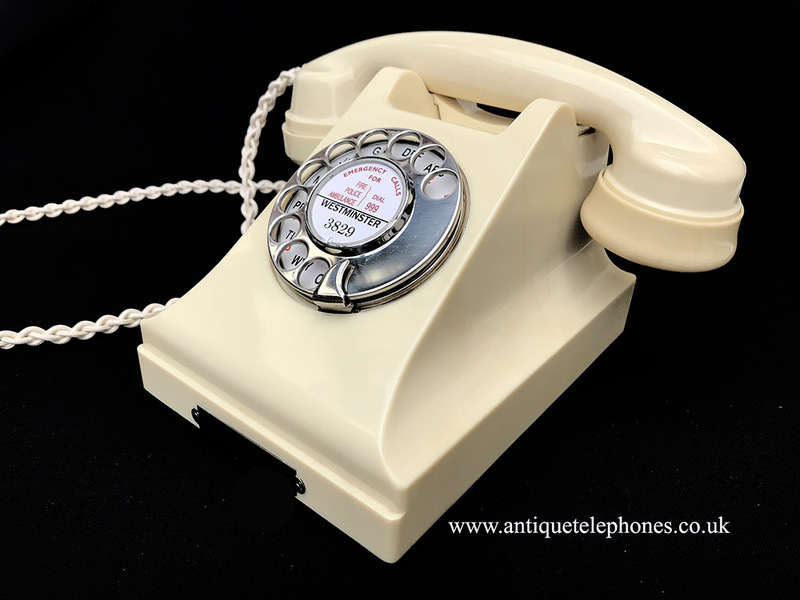 I hope this goes to a good home and falls in love with this rare and unusual telephone. I can fit a dial label with your information at no extra charge.